I appreciate your “wow!!”. Thanks! 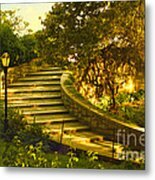 Superb picture as the stairs perspective and the golden sunset light ....L/F. Carmen, thanks so much for your very nice comment and L/F. I'm going to walk up the stairs and into the golden light of this dreamworld! Beautiful! Jamie, I hope you enjoy your dream. Thanks for taking the journey. I am honored that this photo is featured in “Images That Excite You” group! 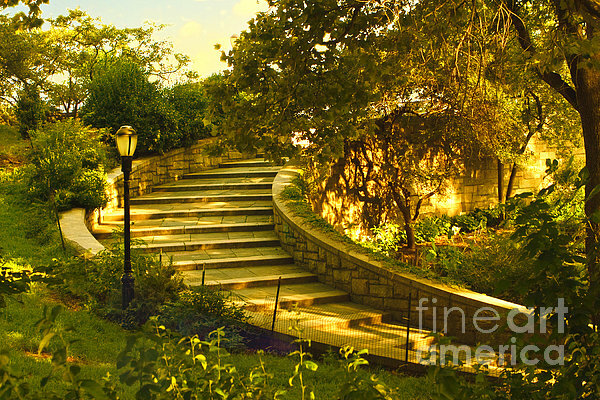 I am delighted this photo is featured in the ABC group S IS FOR STAIRWAYS. What a beautiful photo this is Madeline. Great subject and terrific lighting. Congratulations on your sale of this fine artwork. Welcome to my site and thanks for your “beautiful” comment. Thanks for your Congrats, Ricard. Much appreciated! So very nice of you. Thanks, Sunil. Wonderful photo.. great tones and light..
Gail Brown-Niles, thanks for your "great" comment. Beautiful lighting, color and composition. Awesome photography!! Birgit, this comment is much appreciated. Thanks! Ann, I just saw this now. Thanks for your "Wonderful" comment and f/l! Great shot! Very good composition. Steve, thanks so much. Sorry this is so late. I do appreciate your comment! Nice work, I love the hues. William, I am so glad that you like this. It is nice to get your feedback. It is nice to know that you made this photo one of your favorites. 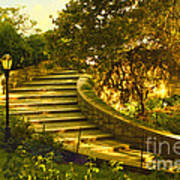 This beautifully lit image is also very restful.......L.
Shirley, your comment and L mean a lot. Thanks!! Wayne Moran, it is nice to know that you made this photo one of your favorites. I am so delighted that you like this Wayne. Love that remarkable golden path.. wow. Alan, I am gratified to know that you like this and it stimulates your imagination. Thanks for the l/f as well. Great composition and warm tones! It is golden and beautiful. Ellen, your comment has brightened my day. Thanks! It is so nice to know that you made this photo one of your favorites. The light was falling just right on this beautiful day in Carl Schurz Park. If you are ever in New York City, head as far east as you can go. Located on the upper eastside, you will find the place that people come to when they want to get away from the hectic city pace. This photo will enliven any wall.